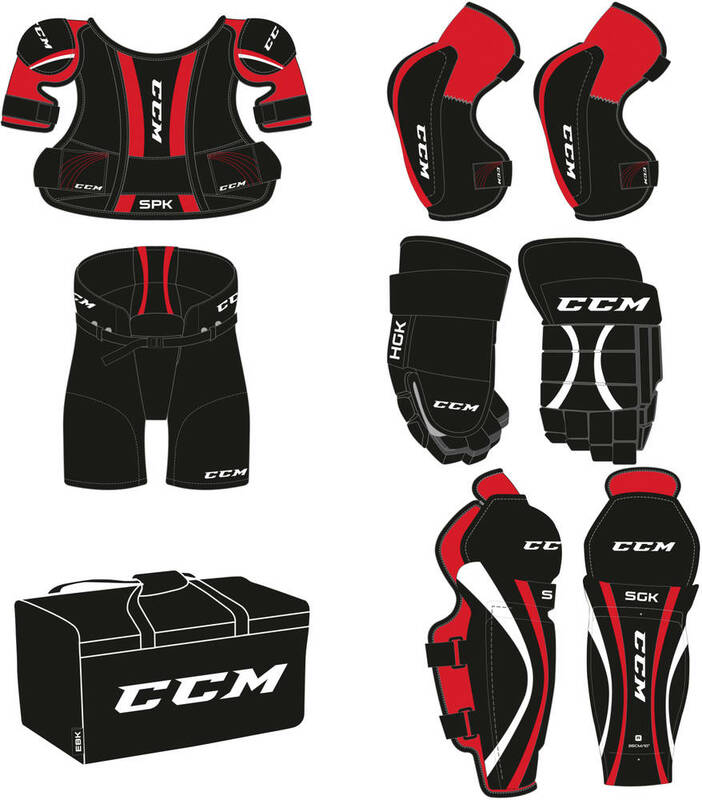 A beginner set from CCM for kids. 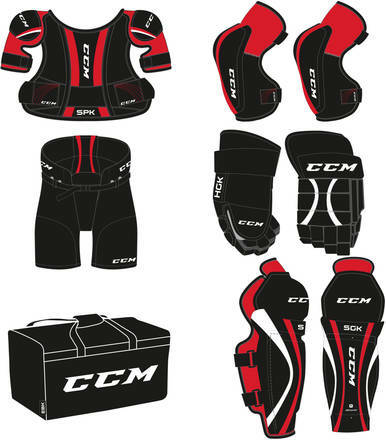 A relatively cheap way to enter the hockey sport for. Size 120 (Medium) usually fits kids age 5-8. Size 135 (Large) usually fits kids age 7-10.